We purchased these beautiful ornaments as Christmas gifts for our pregnancy ministry volunteers. 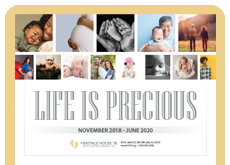 These make a perfect gift for prolife workers and were greatly appreciated. A gift that will be treasured for years! I am Director of a ministry to help families that have suffered the loss of a pregnancy. 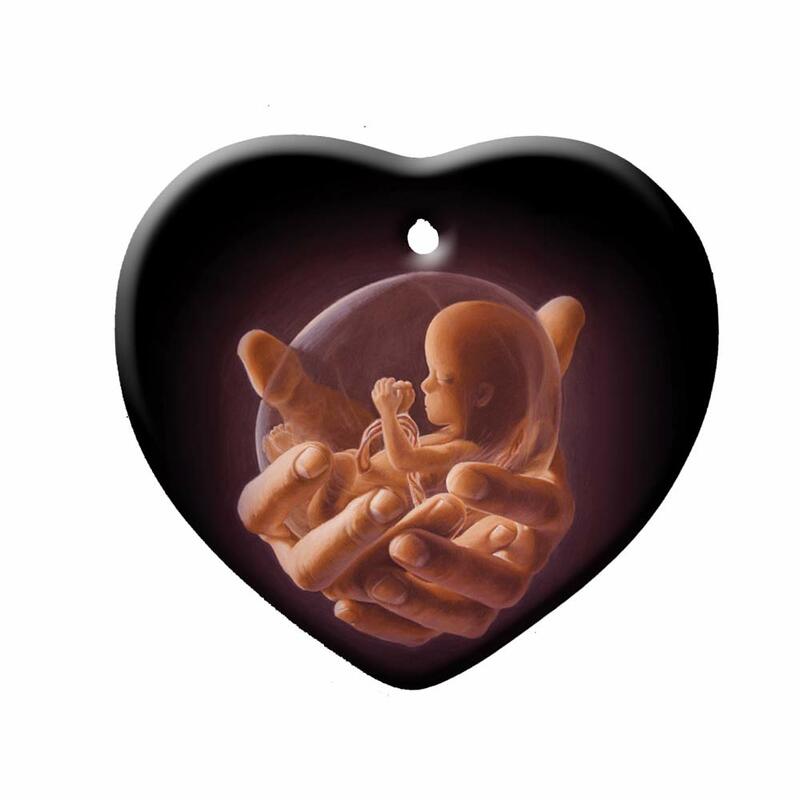 We attend the interments of their baby and give them this ornament for a memento of the baby they lost. The ministry's name is "Treasures In Our Hearts," and the heart shape is so appropriate for them. This beautiful ornament is given at Christmas to our donors and those who take part in our parish prolife events. We receive many great comments on this one because of the scripture and the quality of the item. 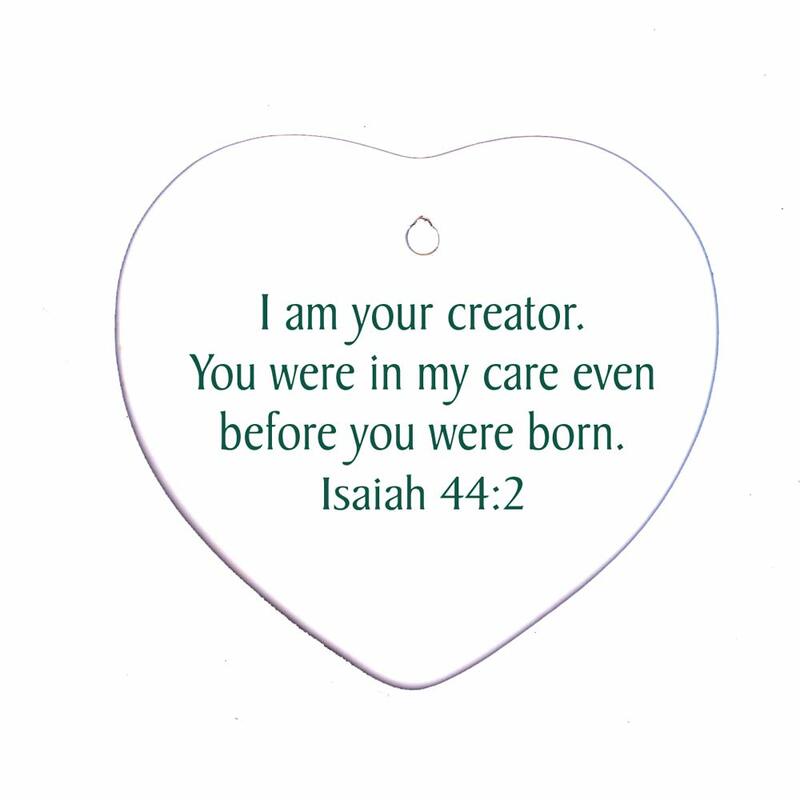 Our pro-life group has ordered several types of these ornaments for our booth at the county fair and to sell to members around Christmas. All of the Christmas ornaments we've used have been excellent, durable quality with beautiful pictures and messages. These have been a popular item. I have one for our tree for a child lost through miscarriage and have been giving them to others ever since for the same reason and to those who are pregnant. People have repeated their gratitude for it well after it was given, for the comfort it brings. They are wonderful reminders also of how special, loved, and protected we all are by God. The ornament has always been free of defects and had a clear picture. I give these to friends who have lost a child to miscarriage. It is a touching way to remember the child and it always well received. We receive baby gifts when our children our born - we also need tangible gifts to help us when we mourn the loss of a child. This is a beautiful way to recognize this loss. I saw this ornament at our Sav-A- Life center. It is beautifully designed, and excellant quality. It is a very meaningful ornament. I would definitaly recommend this to others.